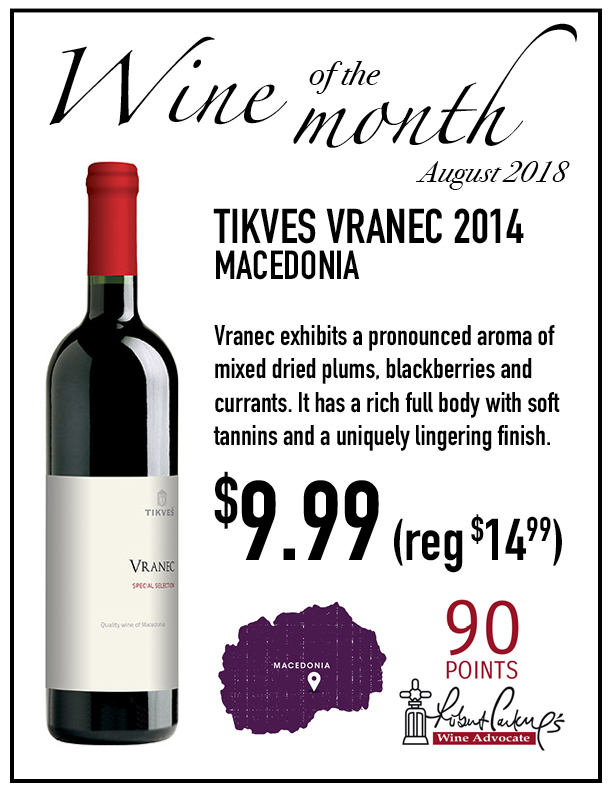 Vranec is a quality dry red wine with intense dark ruby red colour. The wine exhibits a pronounced aroma of mixed dried plums, blackberries and currants. It has a rich full body with soft tannins and a uniquely lingering finish. It pairs well with spicy and strong dishes and grilled meat, including beef, lamb, duck and wild game.